Assisted living residents pay more to live in Philadelphia when compared to the national average, according to data mined through the 2015 Genworth Cost of Care Survey. Annual assisted living prices in Philly are around $58,626, which is a bit more than the national average of $43,200. This annual rate breaks down to $4,886 per month and $161 per day. With that being said, this annual price tag represents a substantially more cost-effective alternative for seniors that do not need skilled nursing care. For nursing home care services, the average annual cost in Philadelphia is about $114,600 for a semi-private room, and $127,750 for a private room. What can you expect with assisted living? Each assisted living community in Philadelphia operates with their own distinctive personality and culture. These distinctions are largely reflective of the neighborhood the facilities happen to be in, and they tend to specifically manifest themselves through various a la carte services that seniors can pay for in addition to their monthly fees. With that being said, these differences do not change the fact that each of the facilities’ collective endgame is to provide every resident with a living environment that is safe, secure, and dignified. Private living quarters. While this could be as big as a multi-bedroom space equivalent to the size of a small house, it is usually the size of a 1-bedroom apartment or a studio. 24-hour security and supervision. This includes on-site security and on-call nursing assistance. Emergency call systems in each apartment in order to summon help when it is needed. Daily meals and snacks. This is typically served up restaurant style in a central dining area. Medication services. This includes reminders to take medication on schedule and reminders on refills. Housekeeping and laundry services. This typically includes a weekly cleaning and weekly linens change. Wellness and fitness programs. This includes modern programs like yoga along with traditional programs like an on-site fitness room. Shopping and transportation assistance. This is often provided on a regular schedule to retail shops, local grocers, and medical centers. Social and recreational activities. This could include game nights, movie nights, holiday parties, and field trips to points of interest such as the Philadelphia Museum of Art and the Franklin Institute. 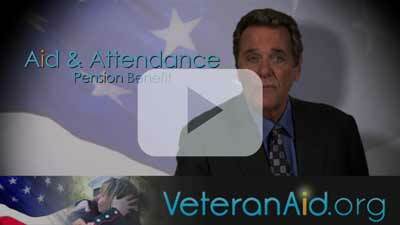 Pennsylvania’s Office of Veterans Affairs provides help to the state’s vets who need help in navigating the VA benefits system. They also allow veterans the chance the volunteer, so they can help other vets wade their way through the system and determine their benefits. Veterans will have no problem finding military-themed points of interest to check out in Philadelphia. After all, the city is the birthplace of the Army, the Navy, and the Marines. The military landmarks range from the Independence Seaport Museum and the Battleship New Jersey - the most decorated battleship in the nation - to places that shine the spotlight on the American Revolution, such as Independence Hall. The city’s reverence for former and current military can be appreciated in venues such as the National Liberty Museum and Christ Church Burial Ground.